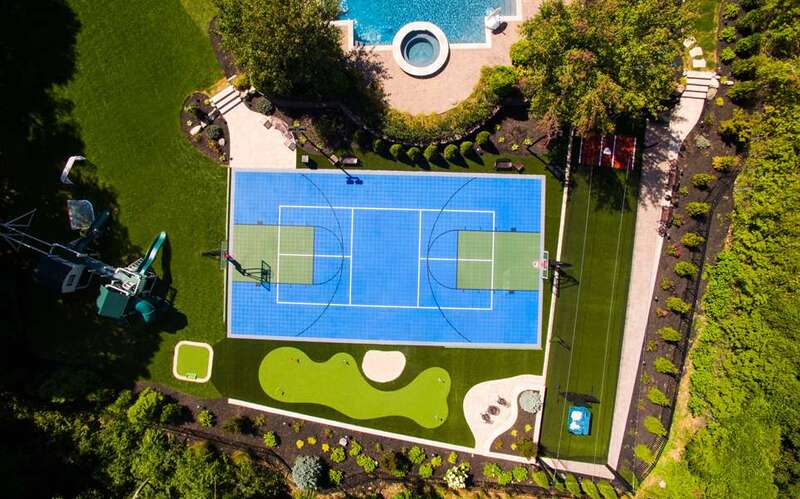 XGrass specializes in bringing backyards to life by integrating popular amenities like backyard game courts, tour quality golf greens and a wide variety of synthetic turf solutions. See how we can transform your backyard into a space where you can gather with family and friends to play, exercise and have fun! 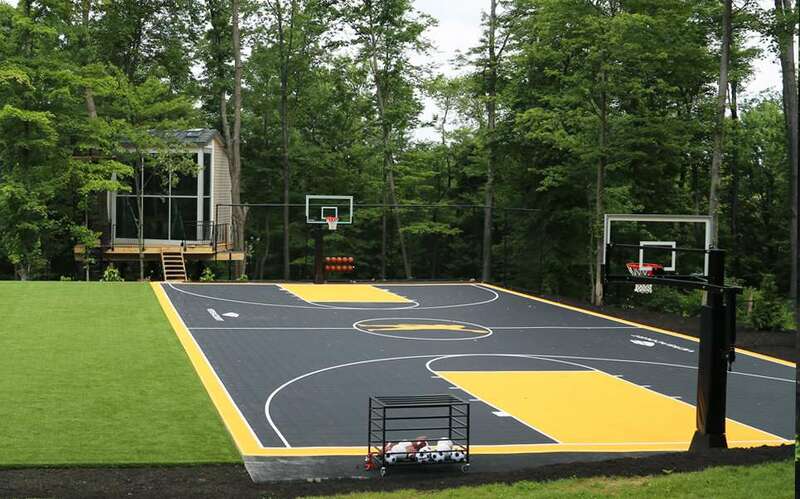 Backyard basketball courts are one of our most popular “Bring the Fun Home” elements and can be configured to fit nearly any space. 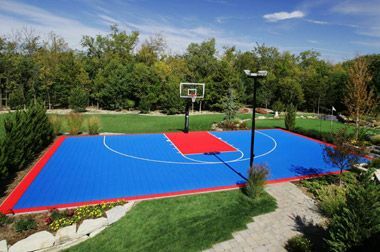 Learn more about our Backyard Basketball Courts and Ball Hog basketball goals. 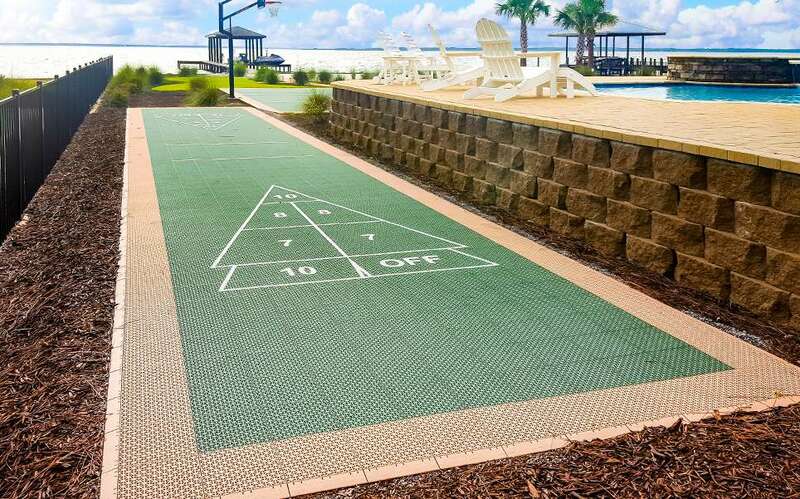 Perhaps no other feature provides as much fun as a VersaCourt multi-sport game court. 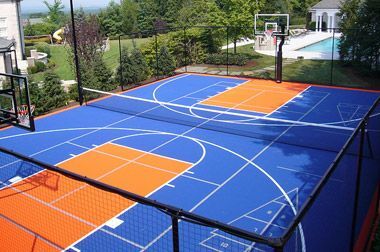 Our versatile court systems allow you to combine basketball, tennis, volleyball, pickleball, floor hockey and more all in one court. 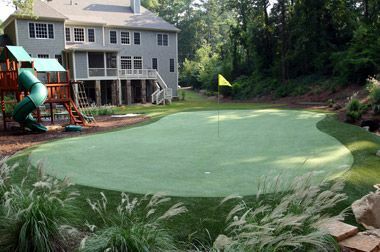 When you bring home a backyard putting green from Tour Greens, you’ll be playing like a pro in no time. 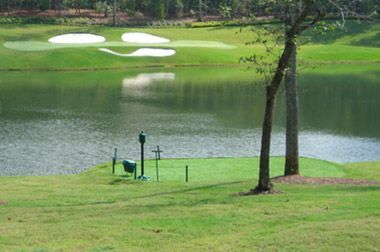 These tour-quality putting greens allow you to practice your entire short game are require virtually no maintenance. Kids want a fun place to play while parents want the place to be safe, attractive and clean. 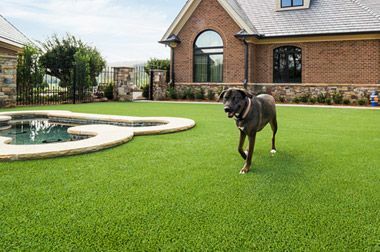 With synthetic grass lawns and playground turf from XGrass, everyone will be happy. 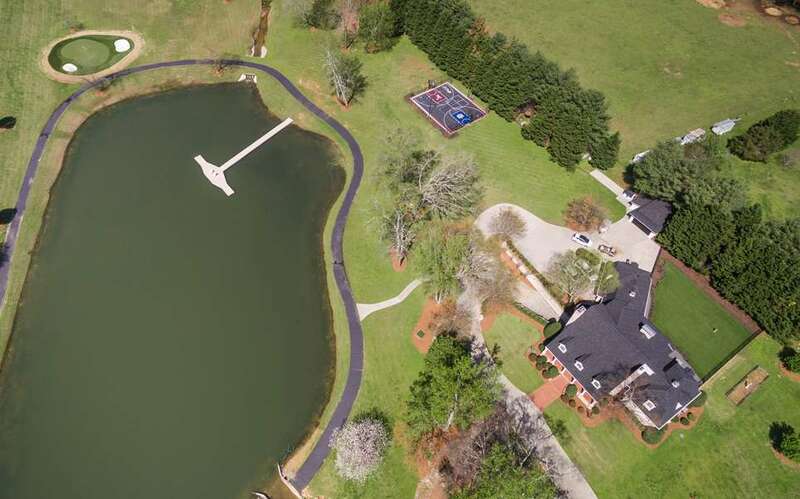 For those with larger estates, you can Bring the Fun Home with a complete backyard golf course . With a few Tour Greens putting greens and some strategically placed tee boxes, you can create the ultimate backyard amenity. Bring fun home for the whole family with this game that can be enjoyed by every age group. 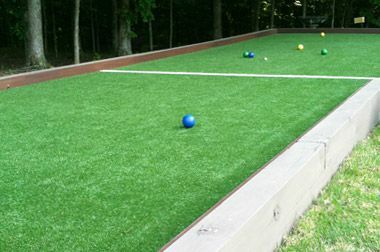 XGrass bocce courts can be designed to fit your space and offer excellent playability with minimal maintenance. Talk about fun for the whole family! 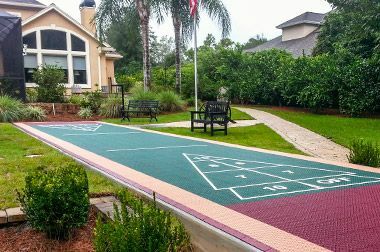 VersaCourt shuffleboard courts require very little space and be integrated into a wide variety of backyard landscapes. Choose from a variety of size and color combinations. The Bring the Fun Home concept is heavily rooted in creating fun spaces for the entire family and this includes your pets. 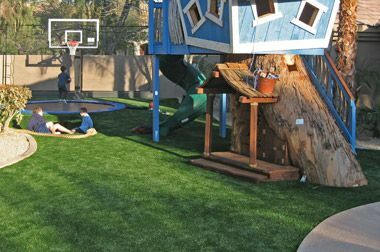 See how XGrass pet turf can be used to create all kinds of creative spaces for the family pets. Want to re-create Wimbledon in your backyard or take advantage of the one of the fastest growing sports, we have the courts. 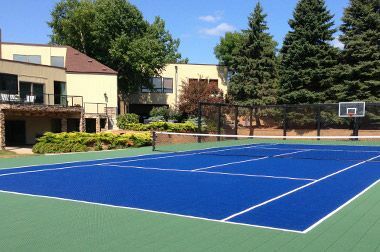 Learn about XGrass artificial grass tennis courts, VersaCourt tennis courts and VersaCourt pickleball courts. Others are bringing the fun home.